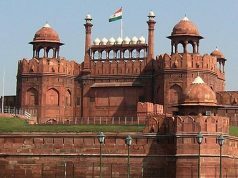 DELHI: Bharat Parv concluded at the Red Fort (Lal Quila), Delhi on January 31, 2018, in the presence of K J Alphons, minister of state (I/C) for tourism and Dr Mahesh Sharma, minister of state (I/C) for culture. 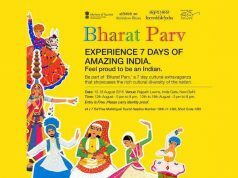 The Parv was organised by the ministry of tourism, Government of India at the Red Fort, Delhi recently, reports The Financial Express. 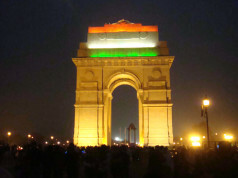 During the closing ceremony, under ‘Adopt a Heritage: Apni Dharohar, Apni Pehchaan’ project, Letters of Intent for 40 monuments to nine agencies of Phase-II and Letters of Intent for 22 monuments to eight agencies of Phase-III were handed over by the minister of culture and the minister of tourism. Ministry of tourism in collaboration with ministry of culture and Archaeological Survey of India (ASI), state/UTs governments and local bodies launched ‘Adopt a Heritage: Apni Dharohar, Apni Pehchaan’ project to preserve the cultural and natural heritage and to promote tourism across the length and breadth of our country. In addition, the MOUs were signed with Adventure Tour Operators Association of India (ATAOI) and State of Jammu & Kashmir for two natural sites: (1) Mt Stok Kangri trek route, Laddakh, J&K; and (2) Gangotri Temple Area & Trail to Gaumukh, Uttarakhand.